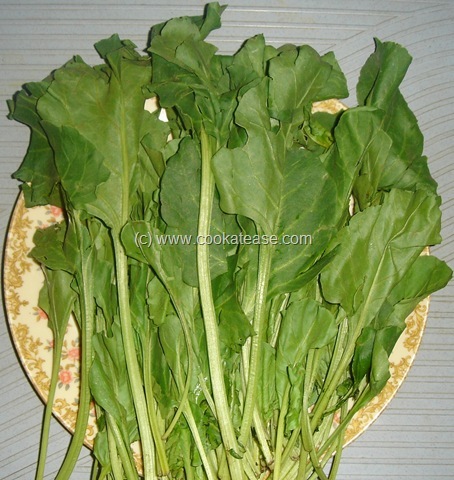 Palak is a type of spinach that is available more in winter season. It is tasty, easy to clean and also cooks faster. 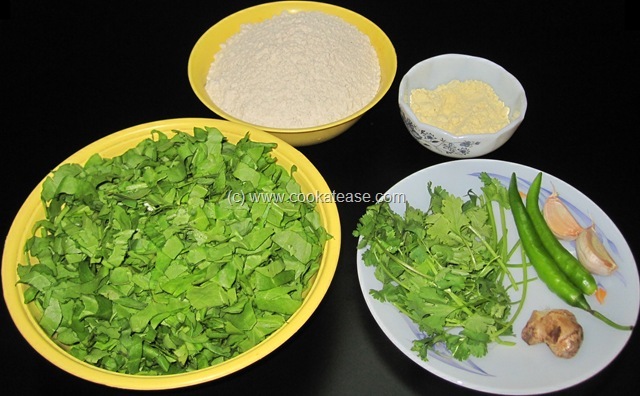 I use palak very often in my menu and cook as many dishes as possible with it. 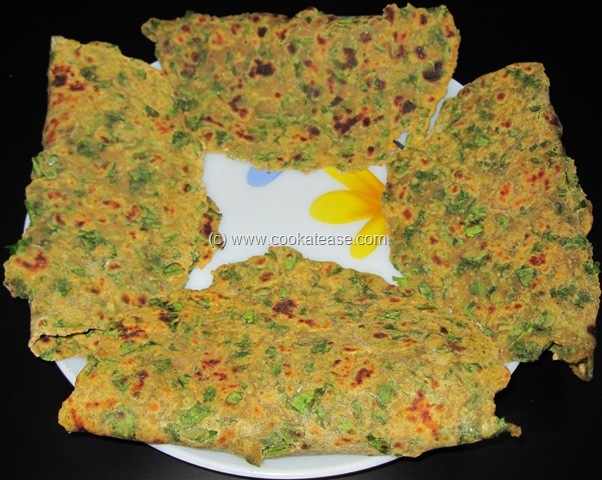 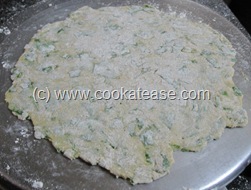 Here I have prepared Palak Paratha, a well known north Indian dish. 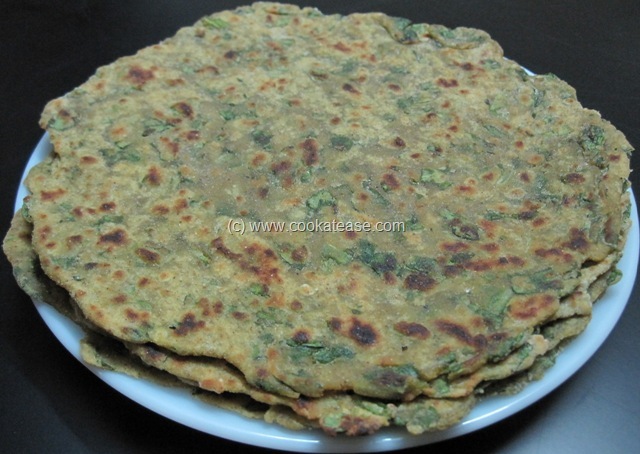 Palak Paratha is one of the favourite food of all my family members. 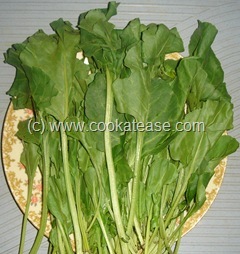 Cooking time: 30 to 40 minutes other than chopping spinach. 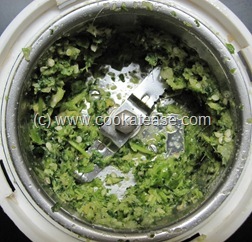 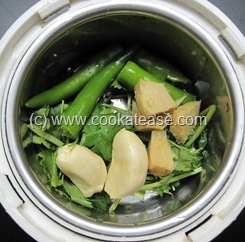 Wash and chop palak leaves; peel garlic, ginger and put it in mixer with green chilli, salt and coriander leaves; run the mixer once or twice to grind it partially. 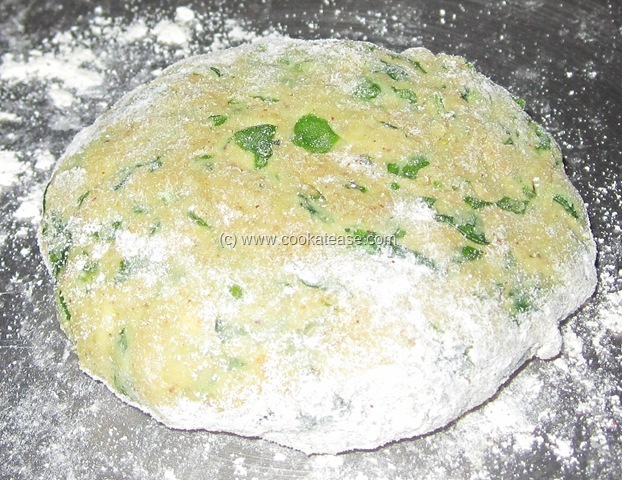 In a bowl put wheat flour, add red chilli powder, turmeric powder, garam masala powder and gram flour; add the ground item also; mix well and then add chopped palak leaves; mix and by adding little water knead to a dough. Take some dough, roll it with a rolling pin; as it contains more greens with moisture, you need generous dusting of flour for rolling. 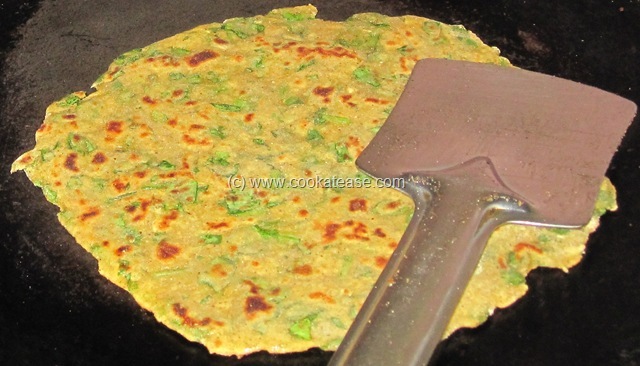 Heat a skillet, grease it and cook paratha on both sides by applying oil lightly. Repeat for the remaining dough also. Yummy greenish palak parathas are ready. Serve hot with any raitha. 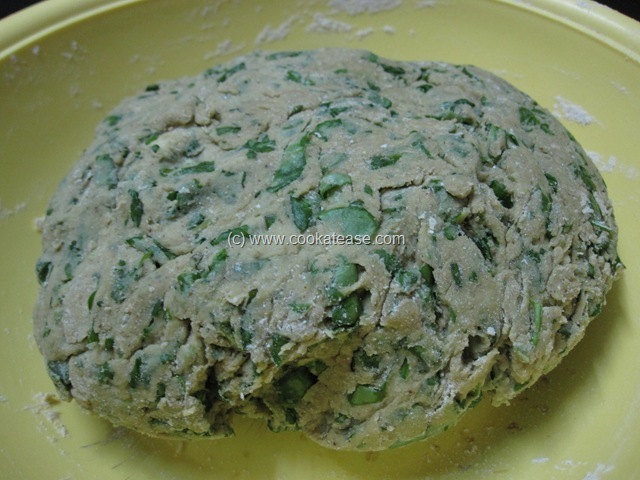 To knead the dough, you may require less water as greens also have water/moisture. 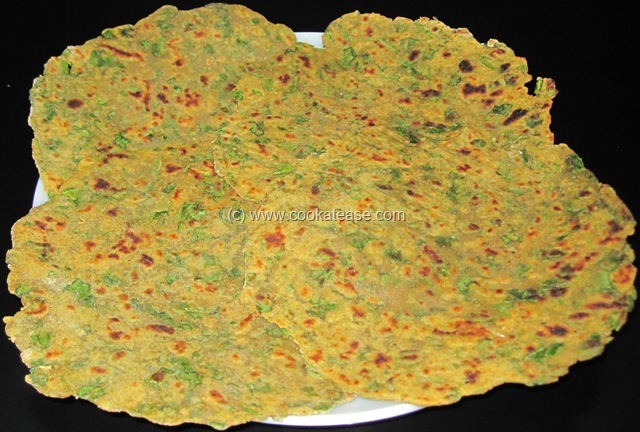 Gram flour (Besan) helps for easy rolling of parathas and gives nice colour. 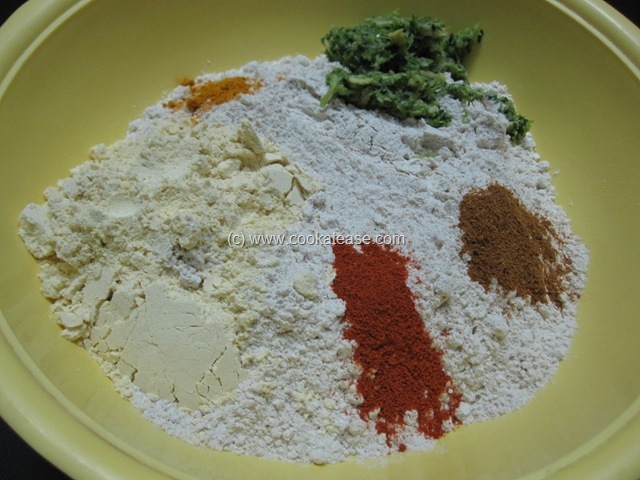 This post is part of the “Family’s Favourite Food Event – Valentine’s Day Special” hosted by Shama Nags. 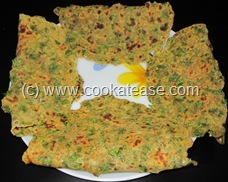 that’s an interesting & healthy method of doing palak parottas , very tasty and nice!! !